Moorfields Eye Hospital Dubai (Moorfields) has announced the appointment of a new Consultant Paediatric Ophthalmologist specialising in children's eye diseases, strabismus (squint) and cataract surgery for children. 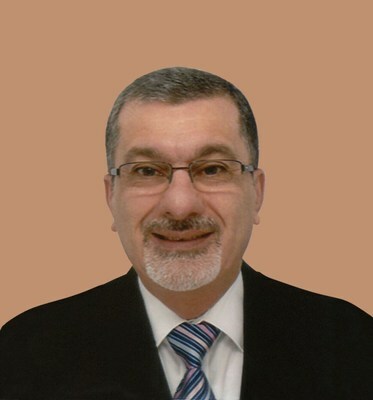 Dr. Namir Kafil-Hussain is an experienced consultant ophthalmic surgeon and has held senior clinical consulting roles in some of the leading specialist hospitals in the UK and Republic of Ireland, managing high quality paediatric ophthalmic services. His work encompasses all aspects of eye surgery for children including small incision cataract surgery, intraocular lens implantation, squint surgery and botulinum toxin injection for treatment of squint. He has screened and performed laser treatment on premature babies (Retinopathy of Prematurity - ROP) as early as 23 weeks, as well as publishing research on ROP prevention and treatment trends. Dr. Namir trained at centres of excellence in ophthalmology, including Oxford, London and Dublin, and completed his specialist training at the Royal College of Ophthalmologists. He has lectured, researched and published extensively on his specialist areas of interest, including original clinical papers related to Children's Eye Diseases, Strabismus (Squints) and Cataract surgery. He is a Fellow of the Royal College of Surgeons of Edinburgh; Fellow of the Royal College of Ophthalmologists; and is a member of the United Kingdom and Ireland Society of Cataract and Refractive Surgery. Dr. Ammar Safar, Medical Director of Moorfields Eye Hospital Dubai, commented: "At Moorfields Dubai, we pride ourselves on our unique capacity to treat the most complex eye conditions, including those affecting children, who comprise a significant proportion of our patients. Dr. Namir brings exceptional skills and experience to the paediatric team, which provides a comprehensive service to younger patients by covering the full range of advanced medical and surgical services including the most challenging cases, even in premature babies."